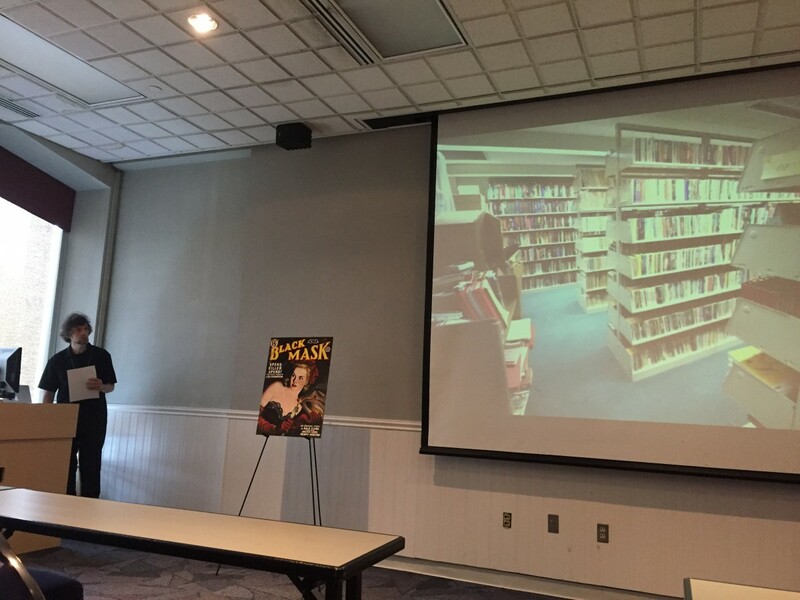 On Oct. 7, 2016, Professors Aaron Barlow (in absentia, read by Jason Ellis), Mark Noonan, and Jason Ellis led a full paper session devoted to the City Tech Science Fiction Collection. Prof. Barlow presented on the collection’s acquisition, its original collector, and its importance to the materiality of education that we do at City Tech. 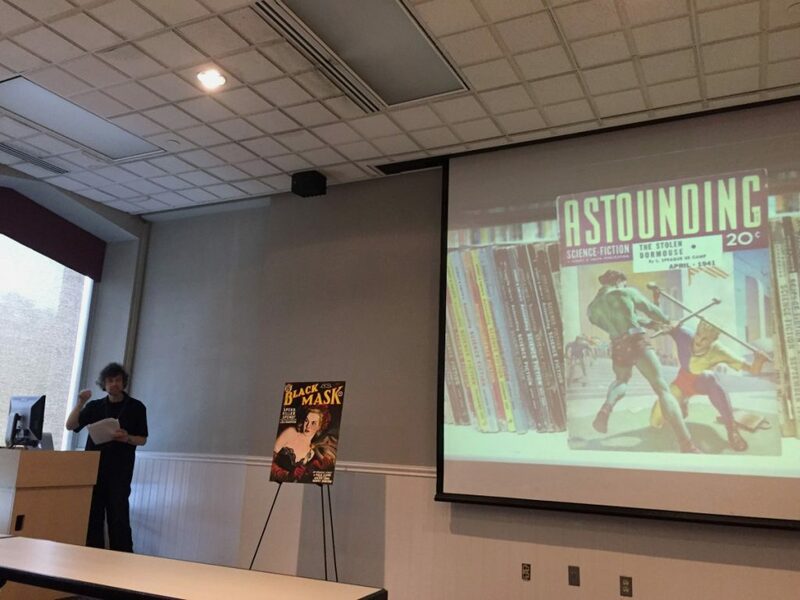 Prof. Noonan presented on pulp publishing history in New York City and how it relates to the magazine holdings in the collection. 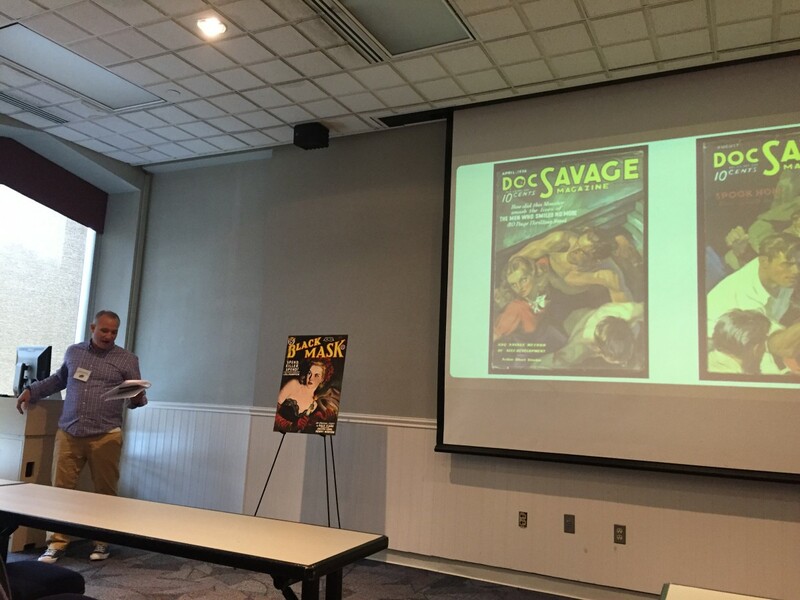 Finally, Prof. Ellis presented on how he has used the collection pedagogically for students (removing readings from the abstraction of anthologization) and for faculty (using SF as a bridge between the humanities and STEM fields). 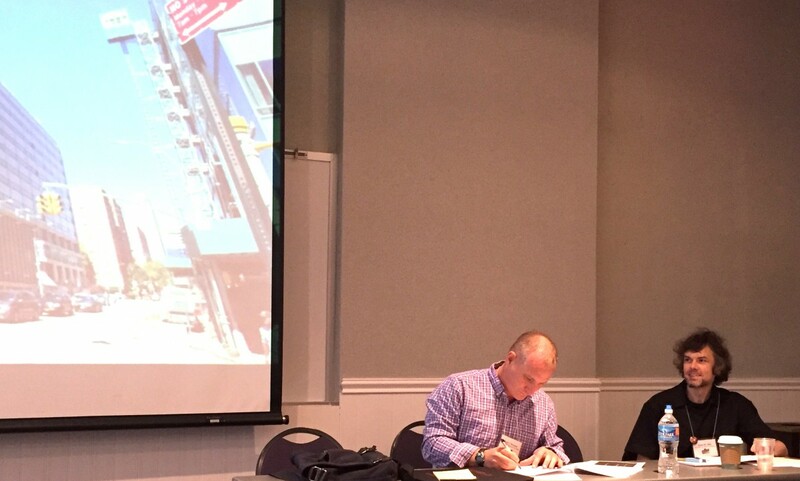 Below are photos taken by Prof. Caroline Hellman of the session. 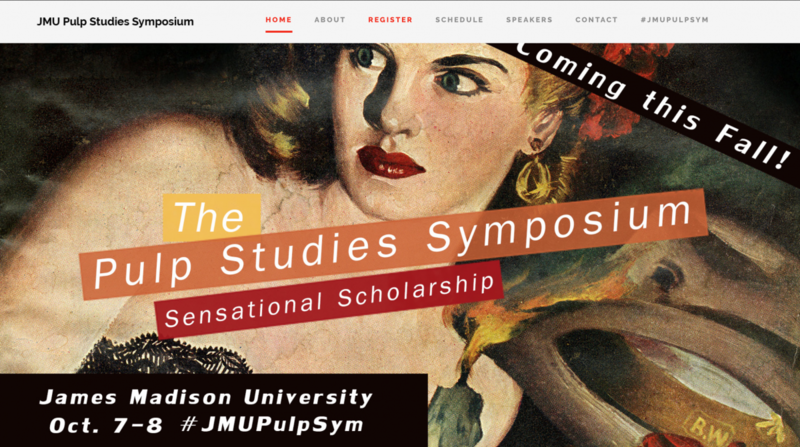 This entry was posted in science-fiction-collection, symposia and conferences and tagged history, jamesmadisonuniversity, jmu, materiality, presentations, publication, pulp, pulpstudies, session, symposium on October 12, 2016 by Jason W. Ellis.